What is the one color capable of taking any decor to the next level? The answer is gold. 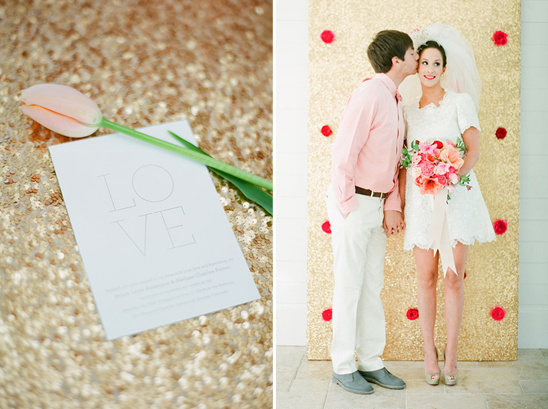 Add a splash of gold to any color palette and you have yourself a foolproof ultra stylish look. 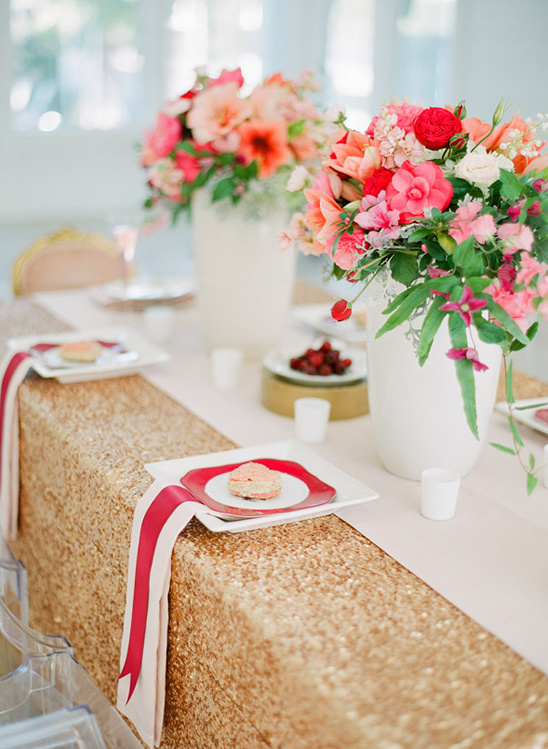 Shelby Peaden Events choose to make a glitzy backdrop (perfect for a photo-booth) and also tied the sparkly color into the table runner. 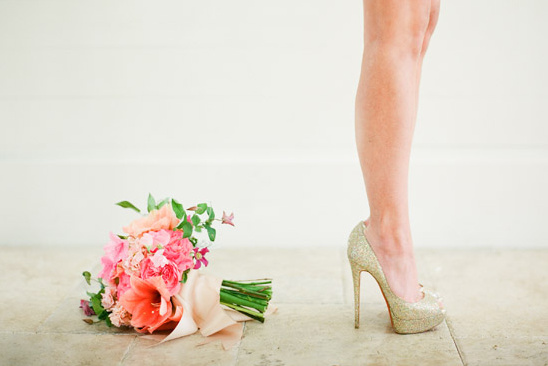 Making sure the bride was on trend, they paired her look with gold Christian Louboutin pumps. Way Cute. 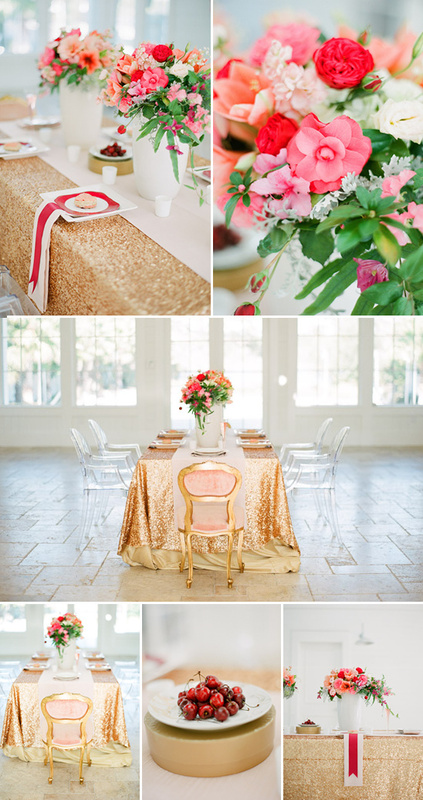 This whole set up is distinctively glamorous, don't you think? 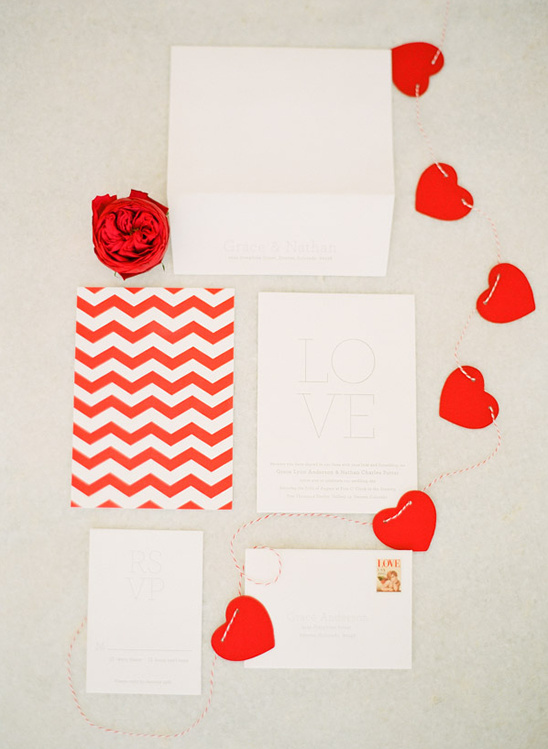 A perfect way to celebrate heart day! 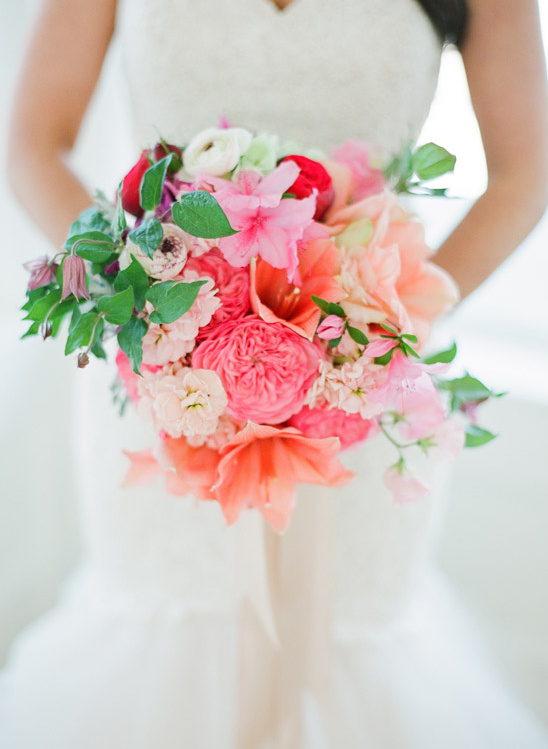 All photographed beautifully by Lauren Kinsey Fine Art Wedding Photography. 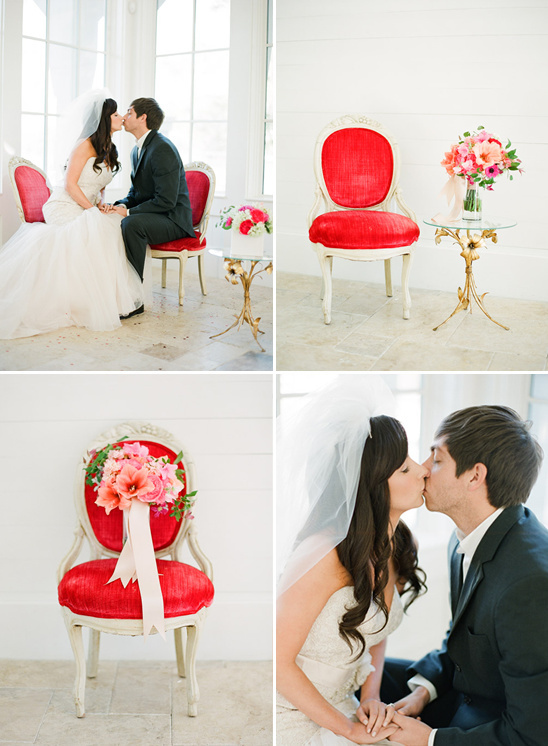 You must see more red and pink wedding ideas in the full gallery by clicking here. 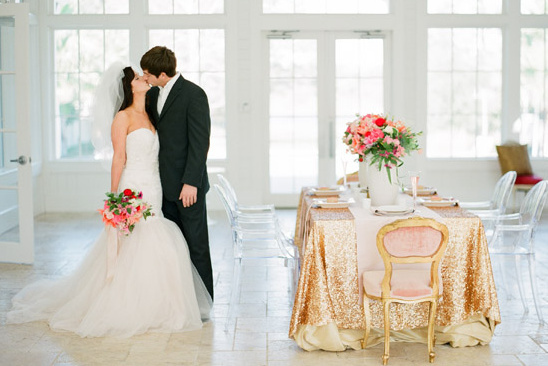 Lauren Kinsey is one of our exclusive The Hand-Picked Vendors. Hand-Picked Vendors are at the top of their game and provide excellent services! These vendors are chosen because of their commitment to excellence, stylish and fresh ideas, and their overall fresh approach to weddings. To learn more about how our Hand-Picked Vendors are chosen please click here. To see more work from Lauren Kinsey be sure to click here.